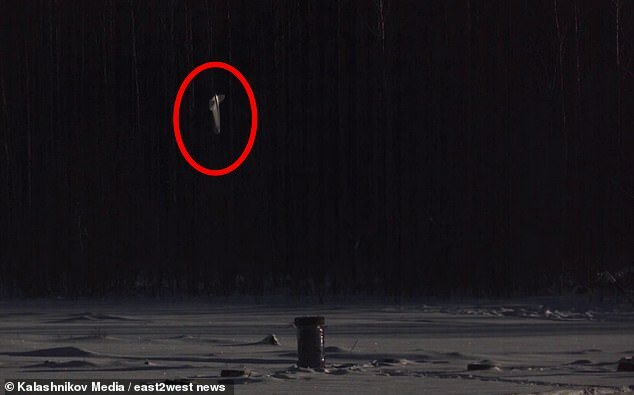 Russia has unveiled its new and deadly kamikaze drone after it 'successfully completed' trials. The latest precision weapon from arms giant Kalashnikov 'delivers explosives to any terrain, bypassing systems of air defence', officials claim. The KYB (Cube) drone - with a maximum flying time of just 30 minutes - was showcased for the first time at the international IBEX arms exhibition in Dubai. 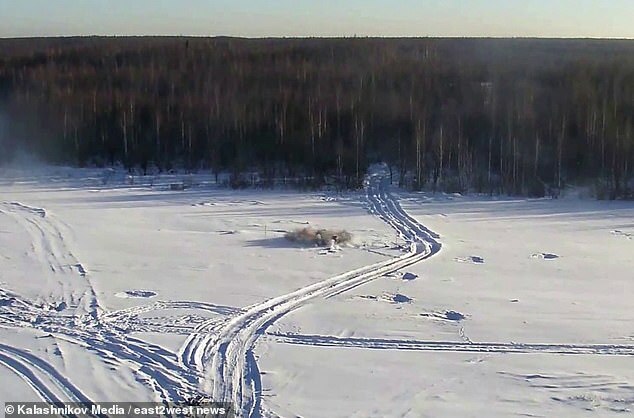 A video shows the unmanned military flying machine exploding as it reaches its target. 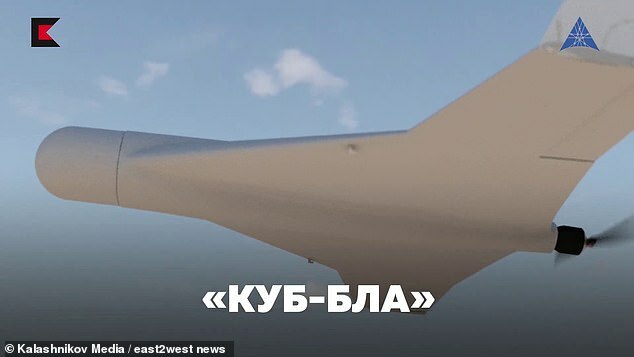 The Russian drone flies at speeds of between 50 and 80 mph and can carry a payload of explosives up to 6.6lbs, say its manufacturers. 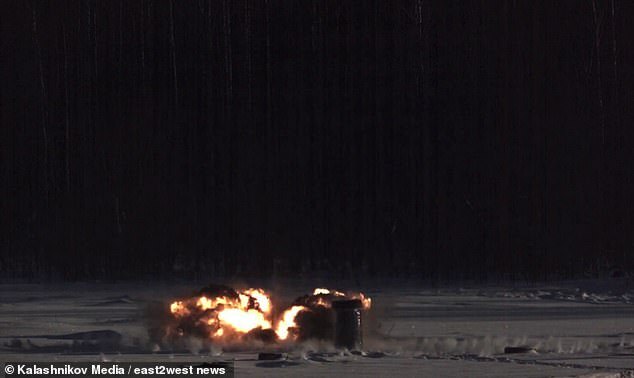 'This is an extremely precise and very effective weapon, incredibly hard to fight by traditional air defence systems,' said Sergey Chemezov, head of Rostec, a Russian state giant in charge of development strategic arms companies. It operates 'regardless of hidden terrains, at both high and low altitude', he said. 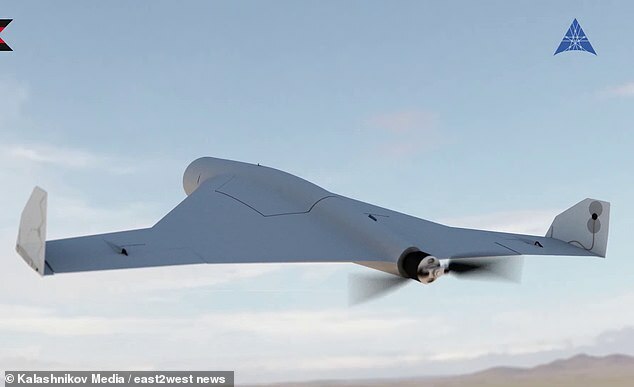 The drone was developed by ZALA Aero, a daughter company of Kalashnikov Concern, the main arms company. Russia also boasted that it has begun supplying Kalashnikov AK103 third generation assault rifles to Saudi Arabia under a contract signed between the two countries in 2017. The two countries are also poised to agree the joint production of the AK103 in Saudi Arabia.